The Uchiha clan were nearly extinct to a point where only one member was left, but now two more join as Sakura marries into the clan alongside Sarada who now possesses the famous Uchiha Sharingan. With this fantastic selfie, it just shows how friendly and close all three are, and how they’ve grown up to become such an awesome family. This fantastic artwork of the three was done by chu0403 who has a number of fantastic pieces of artwork based on Sakura and other characters. If you like this style, there is more of it on their page. 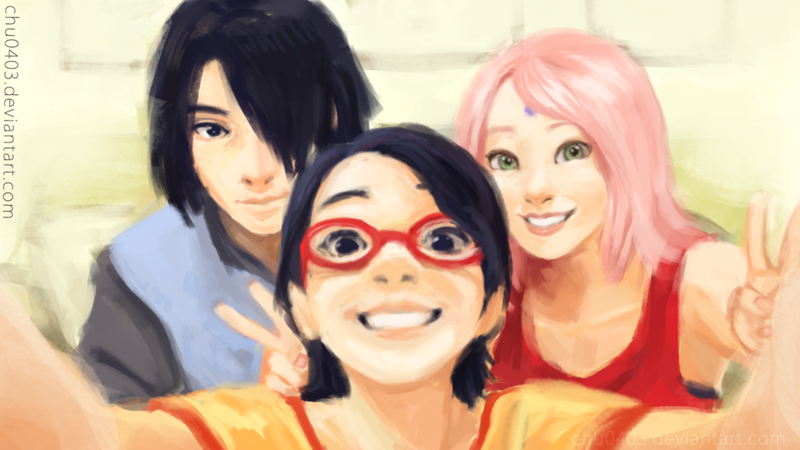 Otherwise be sure to share this fantastic fan art of Sasuke, Sakura and Sarada.